The Sudanese president, Omar al-Bashir, has been declared the winner of this month’s elections, after the first multiparty polls in 24 years. Salva Kiir, a former rebel leader, meanwhile, was also declared president of the semi-autonomous southern Sudan in separate elections. According to the Sudanese election commission, al-Bashir won 68% of the vote, while Salva Kiir obtained 93% of the vote out of slightly more than 2.5 million total votes. “The first [was] Omar Hassan Ahmed al-Bashir. He was the candidate and won,” said Abel Alier, the chairman for Sudan’s National Elections Commission. Observers and the opposition complained of fraud in the elections; two of al-Bashir’s main opponents withdrew before the voting began, accusing the polling process of being rigged. 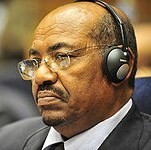 Al-Bashir is also wanted by the International Criminal Court on charges of war crimes, which issued a warrant for his arrest, although al-Bashir denies the allegations. According to local government reports, at least 139 people were killed in Sudan recently after clashes between tribes. The violence started when armed men from the Nuer group reportedly attacked herders from the Dinka tribe in Tonj, a remote region in the south of the country, and took about 5,000 cattle. The army of southern Sudan says more than 100 people were killed when a local tribe attacked a rival group in the southern state of Jonglei. Gunmen from the Lou Nuer tribe attacked a village of the Dinka Hol tribe on Sunday, driving away security forces who were guarding the remote settlement of Duk Padiet. Southern Sudan army spokesman Kuol Diem Kuol said Monday that the dead include 23 attackers, 28 security forces, and more than 50 villagers, with 46 more injured. The Permanent Court of Arbitration in The Hague issues a decision on the borders of Abyei, a region subject to violent contention in Sudan. The African Union (AU) has decided it will not act on an arrest warrant for Sudanese President Omar al-Beshir, who is wanted by the International Criminal Court (ICC) for allegedly perpetrating war crimes in Darfur.